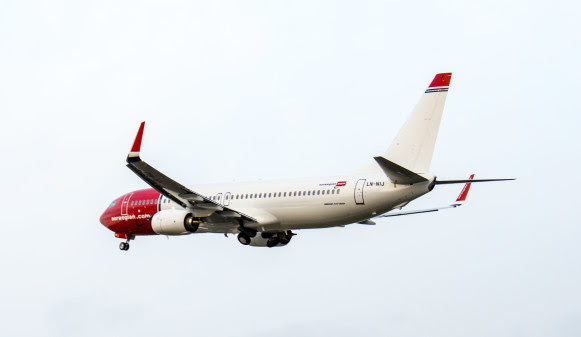 Norwegian, arguably the World’s Best Low-Cost Long-Haul Airline, today took delivery of its 100th direct buy Boeing 737-800 aircraft, the last of this aircraft type in its fleet. Norwegian originally ordered 42 737-800 in 2007 and leased 26 of these aircraft between 2008 and 2016. The airline now has a total of 118 737-800 aircraft in its fleet. In 2017, Norwegian took delivery of the first six of 110 Boeing 737 MAX aircraft the airline has on order. These initial aircraft were used to launch the airline’s service between the Northeastern United States and six European destinations, primarily in Ireland. The 737 MAX is more fuel efficient and environmentally friendly than its predecessor, and after operating the aircraft since July 2017, Norwegian can confirm that this aircraft burns 18 percent less fuel than the 737-800. With this newer aircraft type, Norwegian is able to realise lower operating costs because of its fuel efficiency, seat capacity and overall range.